Explanation: Together, the radio lobes span over one million light years -- what caused them? In the center is a large but peculiar elliptical galaxy dubbed NGC 1316. Detailed inspection of the NGC 1316 system indicates that it began absorbing a small neighboring galaxy about 100 million years ago. 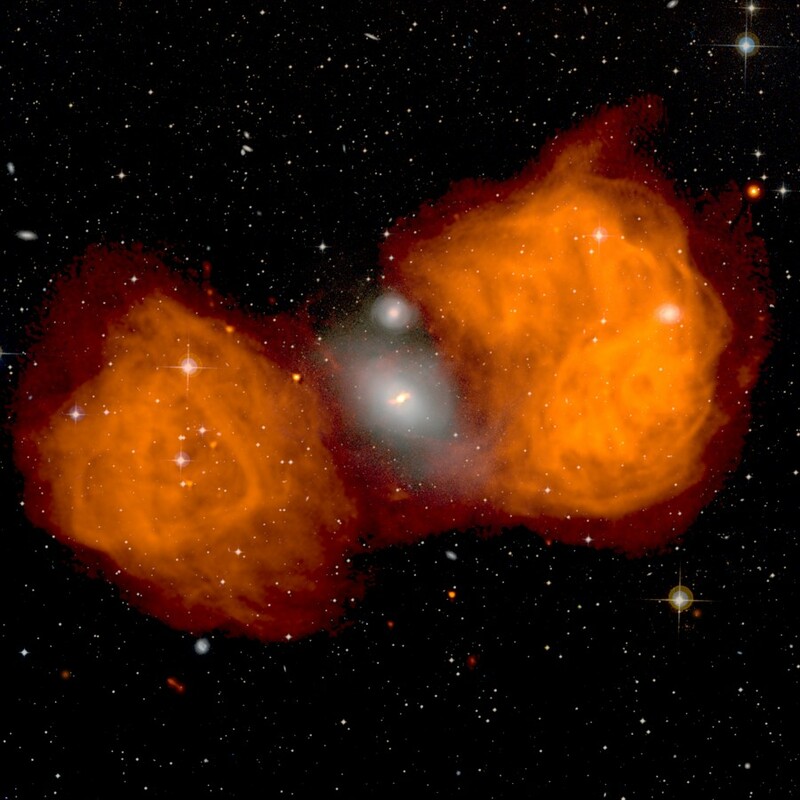 Gas from the galactic collision has fallen inward toward the massive central black hole, with friction heating the gas to 10 million degrees. 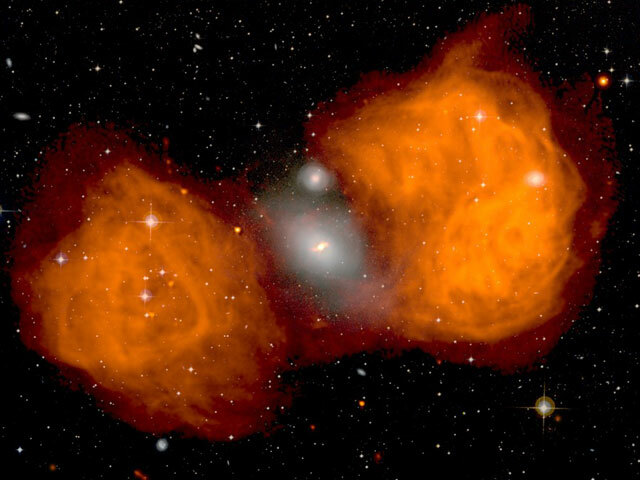 For reasons not yet well understood, two oppositely pointed fast moving jets of particles then developed, eventually smashing into the ambient material on either side of the giant elliptical galaxy. The result is a huge reservoir of hot gas that emits radio waves, observed as the orange (false-color) radio lobes in the above image. The radio image is superposed on an optical survey image of the same part of the sky. Strange patterns in the radio lobes likely indicate slight changes in the directions of the jets.